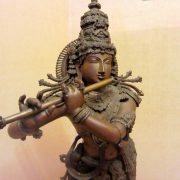 A recent collection that was added to the free yoga and meditation resources was the Free Meditation Music Downloads. In this collection you will find yoga and meditation music from a variety of artists and musicians. Included in that collection are also mantras, chants, prayers and hymns for you to enjoy and use in you spiritual practice. Today I would like to share with you another great track, which is great for practicing Yoga. It is a soothing track and so can also be used for relaxation, inspiration or as preparation for meditation. This music comes from the Kundalini Yoga tradition, which incorporates music and mantra as a major aspect of its practice. 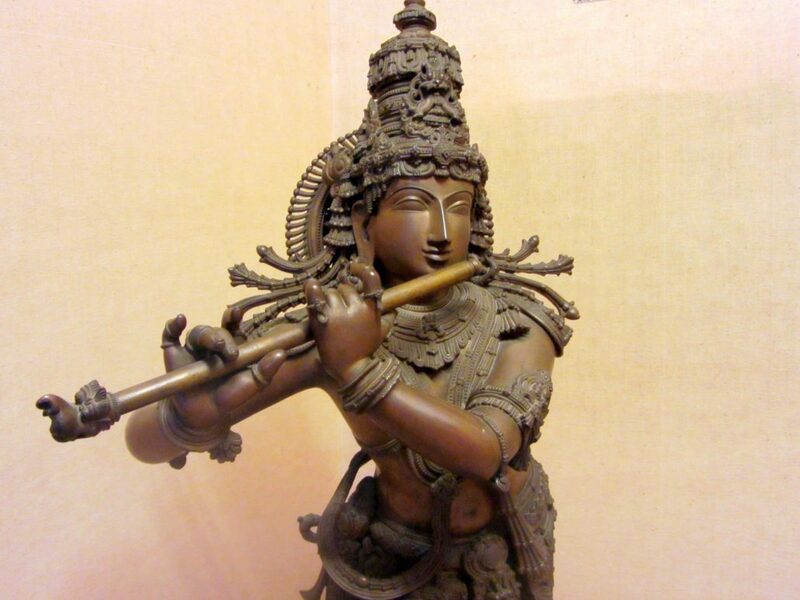 Kundalini Yoga has not just given us great teachers and yogis, but has also been a source of great artists and musicians. The artist whose work I am sharing with you is Simrit Kaur and you will find her enchanting and beautiful music on her website at Simrit Kaur Music. Known for its eclectic sound, the band is gaining world recognition for the uniquely fresh arrangements combined with a contagious uplifting energy and ancient appeal. Attendees often compare the sound to world chant fusion music meets Sound Tribe Sector 9 and Pink Floyd. The Simrit Kaur Band has established itself as a group with incredible energy, groove and vision while simultaneously debunking preconceived notions of the traditional band. The band is anchored by vocalist Simrit Kaur with her rhythmic arrangements and hypnotic melodies. Simrit studied both Western and Eastern classical vocals and is an accomplished percussionist. If you have ever attended a Kundalini Yoga class, you will be well aware that music is an integral part of the practice and if the teacher is experienced and intelligent, they will be able to use the music to enhance your yoga practice. In my classes, I design my CDs and playlists such that they start with slow to medium tracks, then move to energetic tracks as we approach the tail end of Kriyas, when things are getting really challenging, and finally have soothing and relaxing music for the relaxation periods done at the end of the class. In this way the music really helps set the internal and external atmosphere for the practice appropriately. The free download below is great for such relaxation periods, flowing yoga movements or warm-ups. Also, for those who really enjoy this great blend of etheric melodies and consciousness altering music of Simrit’s please find her tour details below as well. There is nothing like the energy of a live concert, so if you can attend go for it. Please note her concerts are right around the corner, so be sure to act quickly! To download this Soothing Yoga Music Track please RIGHT CLICK the link below and choose “Save As…” to save to your computer. Please note this track is 19 Megabytes big, so please download to your computer to play it, please don’t play it directly from the website repeatedly, as that will devour my bandwidth quickly :-). Thank you. If you are a musician or artist and would like to share your work with the world as well, please email me at anmol@anmolmehta.com. If you know of any artists or albums which provide great music for yoga, please share that information with us in the comments section below. Great to hear you are enjoying and benefiting from the Silent Mind Meditation Program. You have found the hidden jewel of the website and wonderful to hear you are applying yourself and reaping the rewards. I am loving that I found this site. I was looking for other sites to link into that would compliment my own. Did a random search and found it blessed to arrive here. The mp3 is so beautiful and powerful. Thank you so much for sharing. I would love to help get the word our about its existence. If there is any way I can help, please don’t hesitate to visit http://www.pranakichimethod.org and leave me a message in the contact field. Blessings on you and this site. field of view, even my peripheral vision… it was so werid, so real. of how i managed to get there, lol …and it faded away. have changed my life in such positive ways ! Again… a thousand thank-yous & my most kindest regards. Wow Anmol…. that mp3 from Simrit Kaur is so beautiful ! I love it… many thanks for sharing.